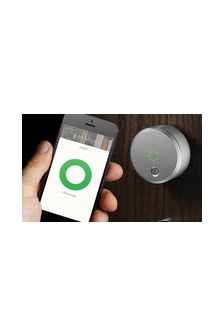 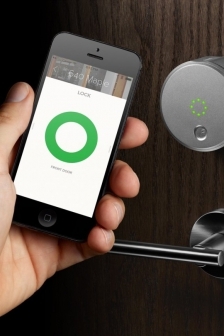 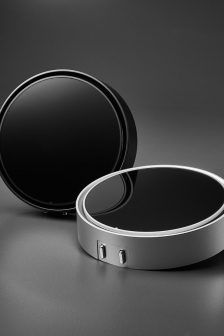 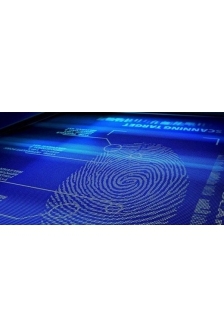 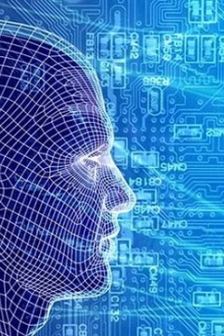 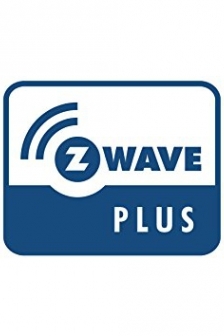 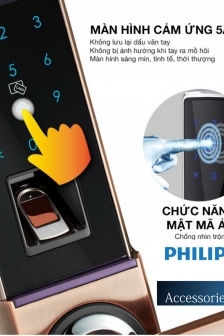 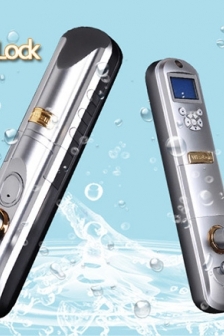 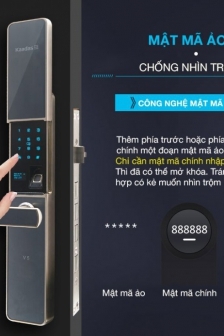 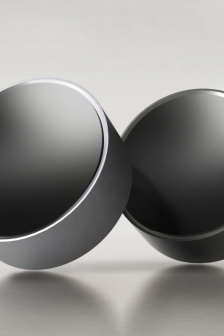 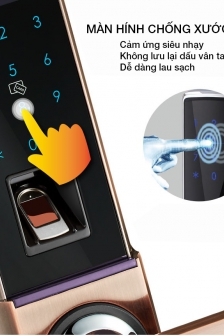 Convenient authentication methods aimed to reduce worry over key loss or password hacking, this state-of-the-art fingerprint recognition system increases safety and security. 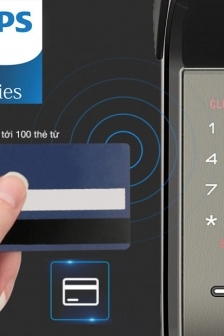 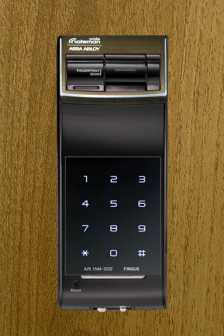 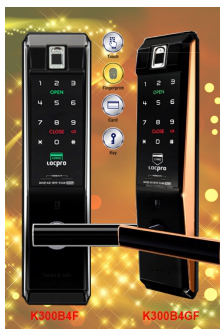 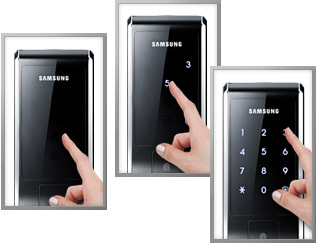 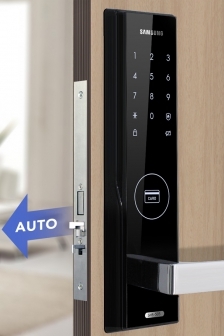 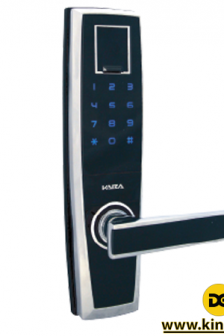 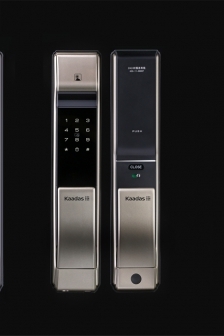 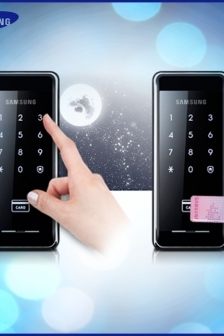 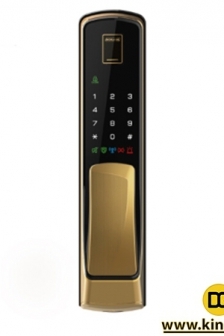 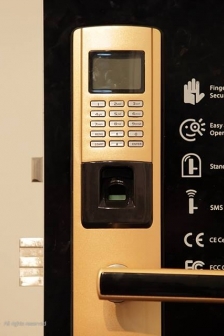 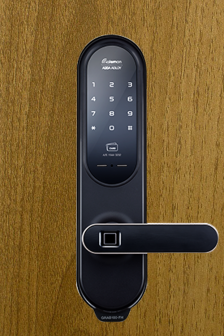 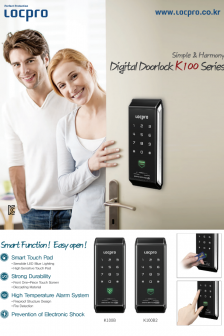 Enhancing user convenience with easy door opening and closing access features, the key pad panel is covered automatically after pressing the door's center open lock button thereby enhancing the security of the fingerprint identification panel. 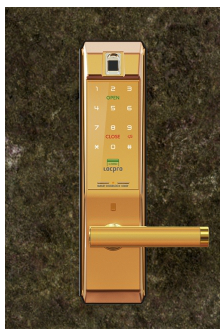 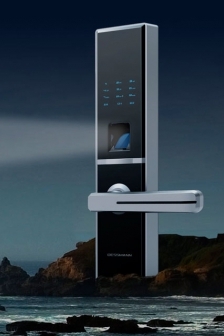 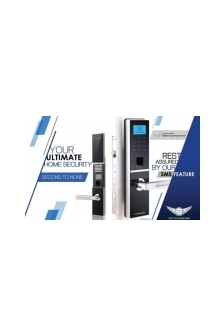 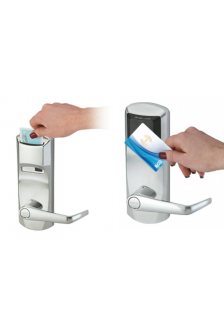 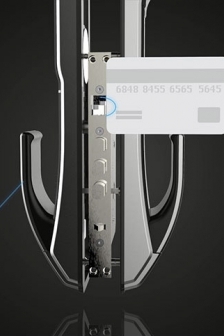 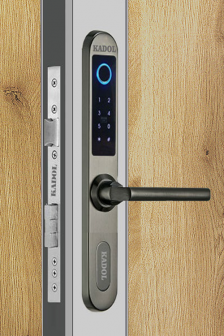 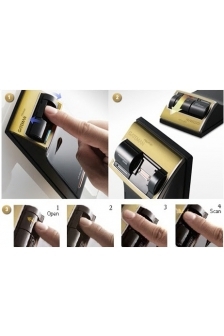 Able to register and recognize 100 fingerprints, this secure digital door lock system can as well be utilized for small and medium companies. 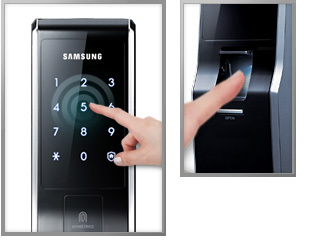 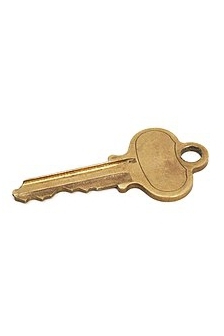 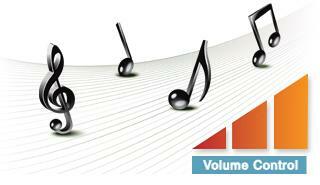 Resident security is heightened by preventing password exposure with the random security code feature. 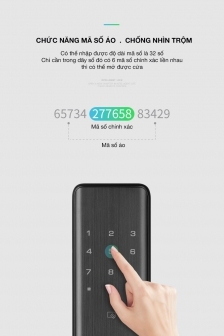 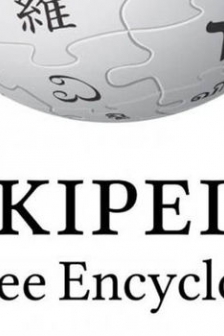 By pressing randomly selected numbers prior to entering the password, guessing passwords by fingerprint marks is prevented, therefore doubling security. 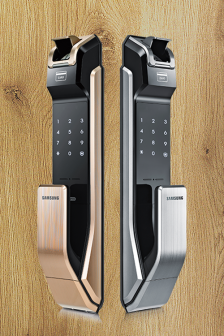 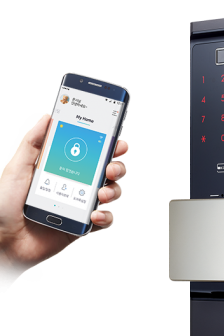 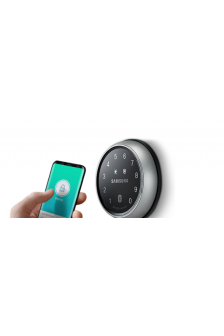 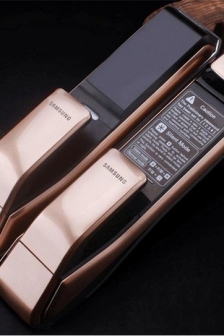 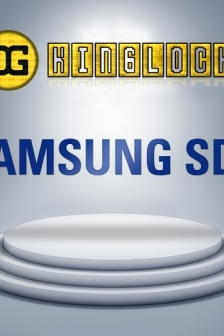 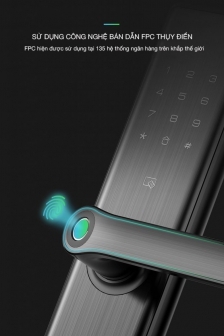 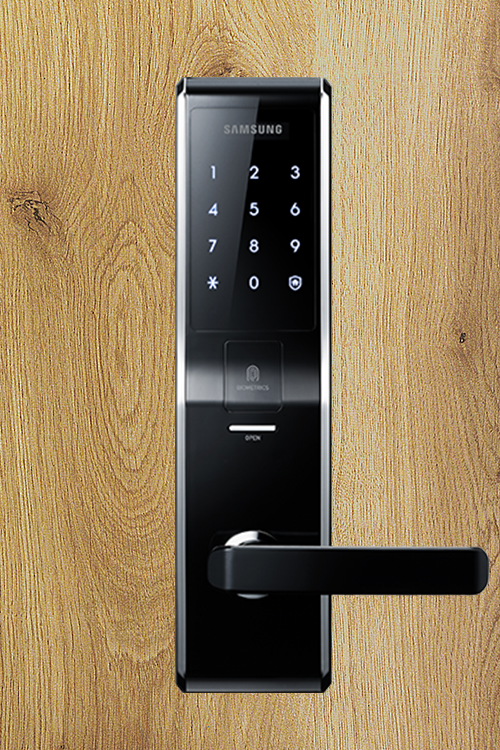 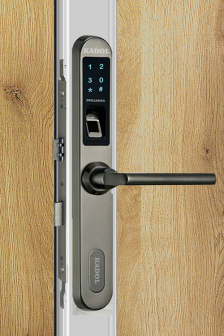 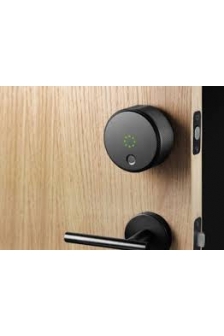 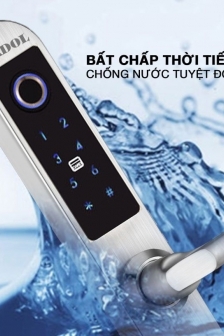 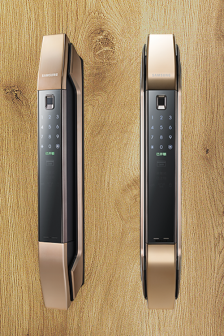 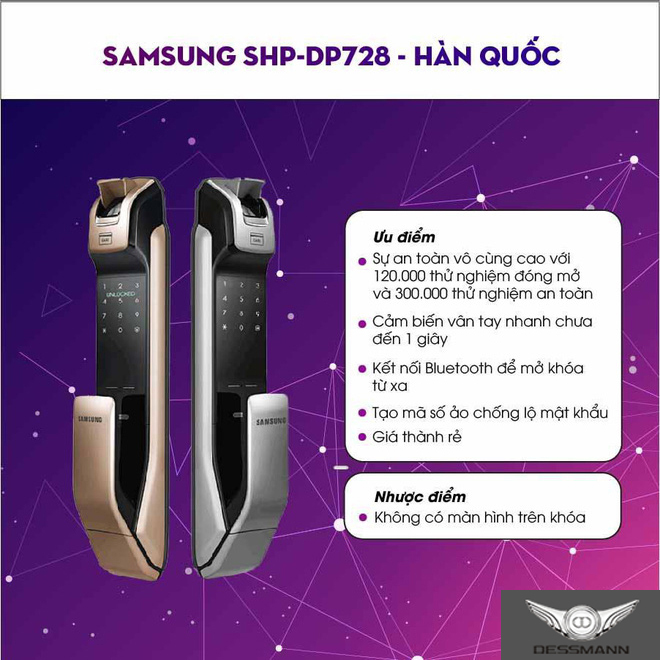 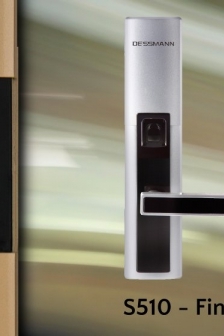 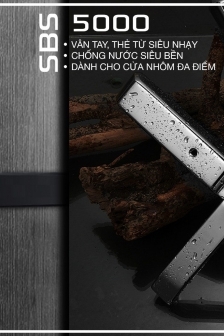 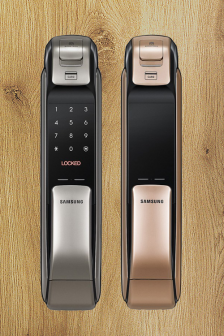 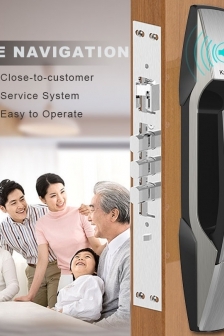 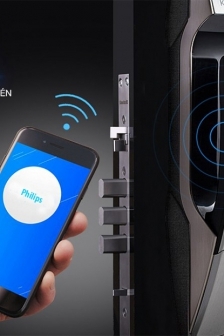 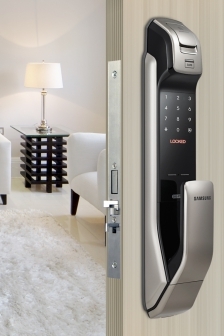 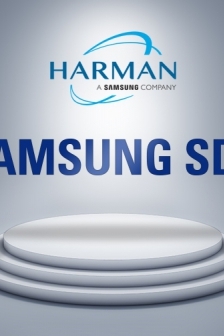 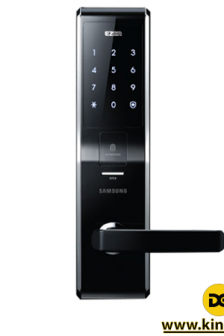 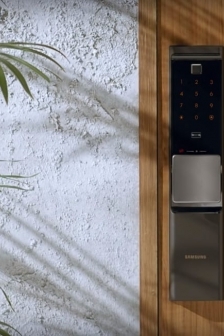 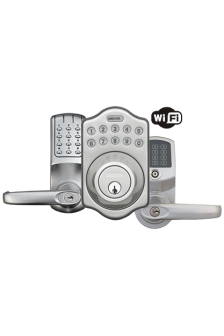 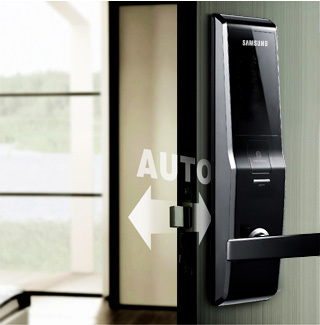 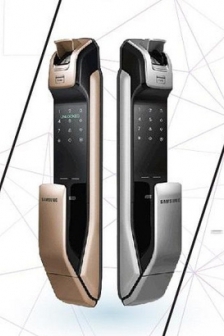 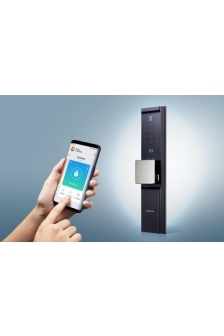 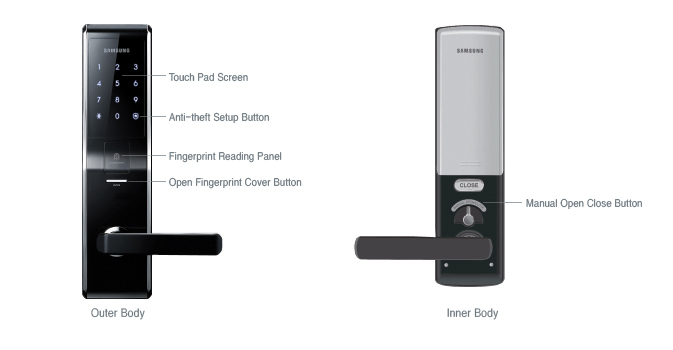 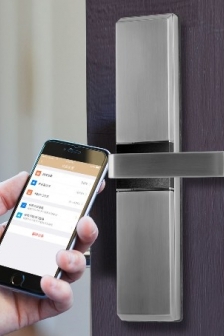 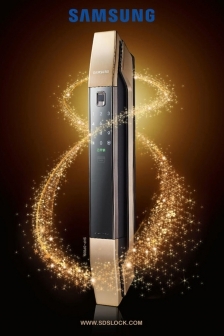 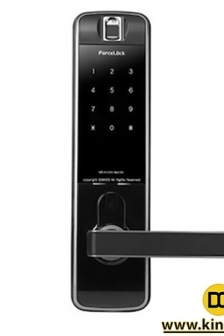 The Samsung Digital Door Lock obtained exceptional grades in all safety and quality certification tests against electric shock, strength and fire prevention. 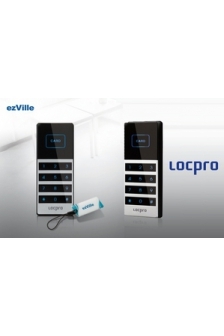 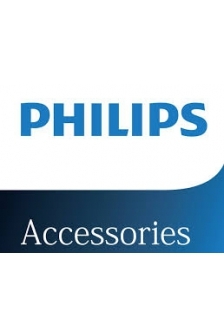 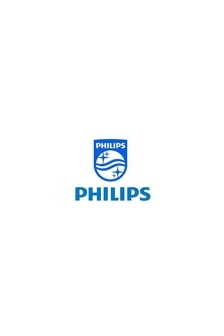 With an advanced circuit design that enables the product to withstand high voltage electrical surges, safety is strengthened. 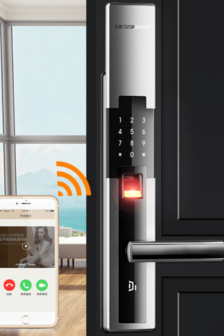 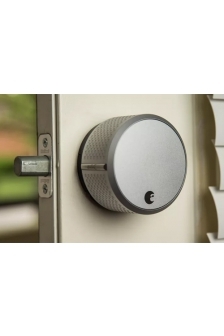 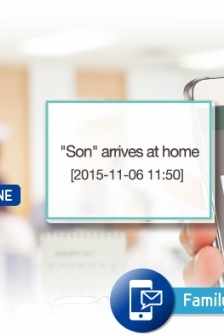 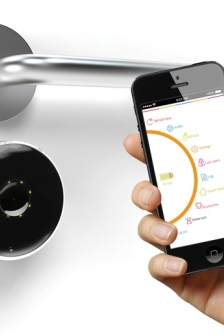 Also, when a temperature of 60 degree Celsius and over is detected inside the residence, the alarm will sound and the door locks are automatically opened. 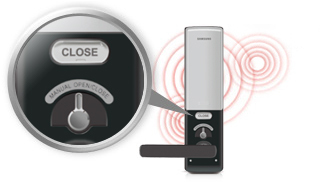 With a manual open feature, the door can be opened manually if an electronic malfunction occurs.